We've all been there ― tough day at work but still have hellish traffic to endure on the way home. While it may be tempting to skip your skincare routine altogether, going to sleep with a full face of makeup on is a recipe for disaster. Aside from clogging your pores and putting yourself at risk for break outs, your skin is not able to breathe and renew itself with all that grease and cosmetic build-up. STEP 1: Use a cleansing tissue. Before washing your face, start by using makeup wipes to pre-cleanse your skin and remove the initial layers of dirt, oil and makeup. 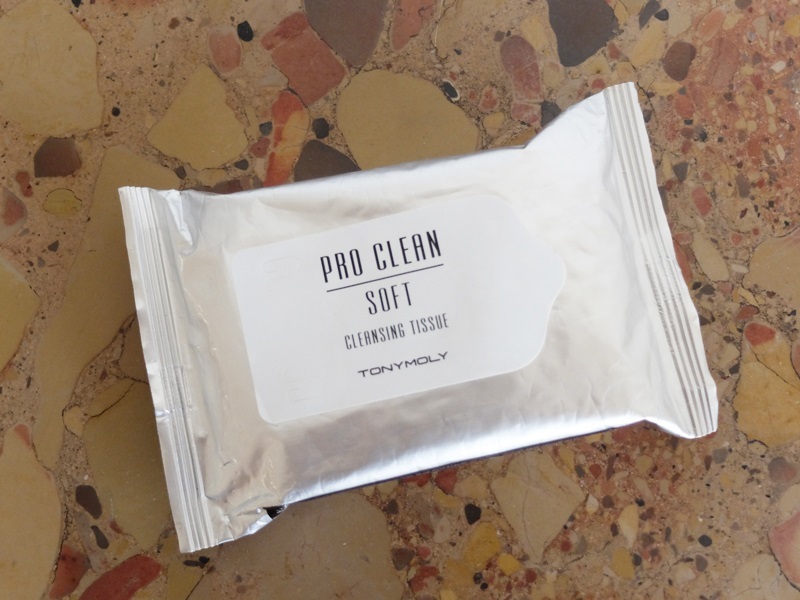 These Tony Moly Blast Fresh Cleansing Tissues (previously reviewed here) have a pleasant, light citrus fragrance. Made with 5 natural oils and baking powder, these water-type tissues remove makeup and dead skin while keeping your face hydrated. 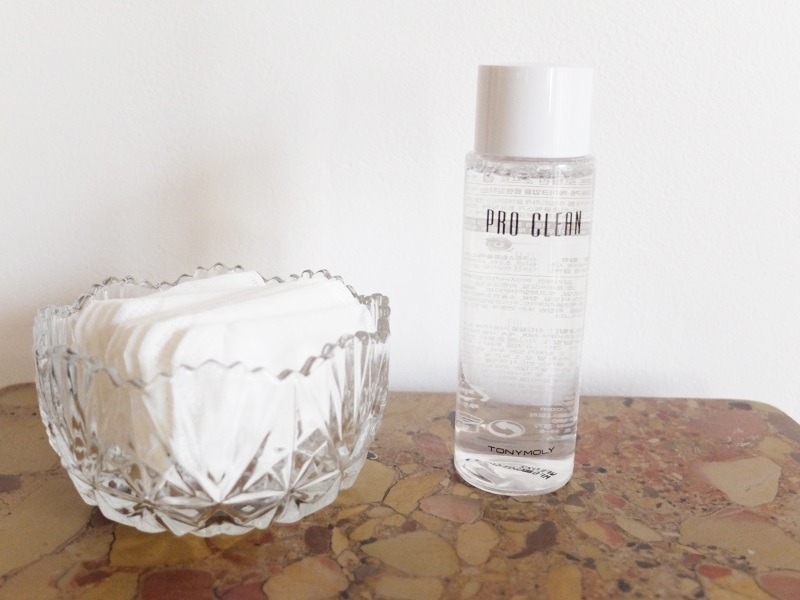 Another makeup wipe variant that I recommend is this packet of Pro Clean Soft Cleansing Tissues. It is ideal for traveling as it's quite compact. It doesn't sting your eyes and one sheet is enough for the entire face. STEP 2: Gently remove your eye makeup. If you're wearing heavy eye makeup, simply wiping it off with a cleansing tissue may not be enough. Thoroughly remove all traces of eyeshadow, mascara and eyeliner using an oil-based product. Remember that the area around your eyes is very delicate so try and be gentle when doing this step. Instead of rubbing, what I do is soak a cotton pad with the eye makeup remover and hold the pad in place for about 10 seconds. This method dissolves all the makeup without scrubbing or irritating your eyes. 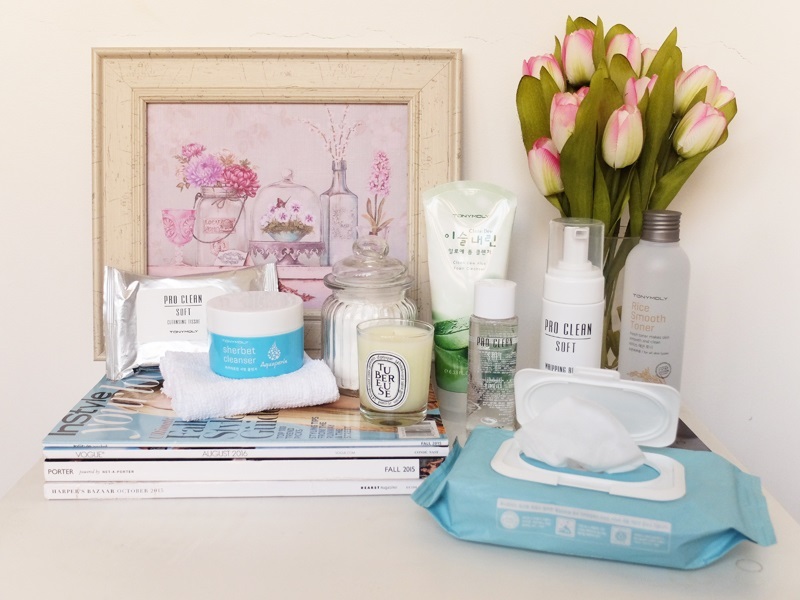 For those who haven't heard of double-cleansing, it is exactly what it sounds like. Basically, you wash your face twice: first with a cleansing oil then with a facial wash.
Cleansing oils melt away your makeup, remove dead skin cells and pull out all the gunk from your pores, allowing your second cleanser (the facial wash) to really get in there and do its job. Cleanser #1: If you can't be bothered with messy liquids running down your arms, then a solid balm is for you. 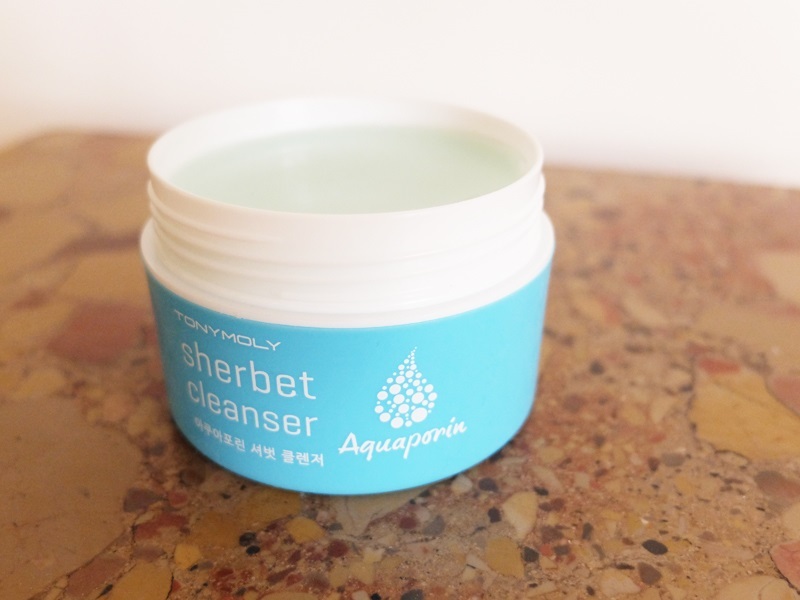 This Aquaporin sherbet cleanser contains botanical extracts and is designed to remove dirt and makeup from your face without drying your skin. Using a spatula, scoop a small amount onto your hands and massage over dry skin. Do circular motions covering all areas including your eyes. Add a splash of warm water to emulsify then continue massaging to break down makeup. Rinse with lukewarm water after. Cleanser #2: Now that the first couple of layers of makeup have been removed, it's time to wash your face with a foaming cleanser to deep clean your pores and ensure all impurities are eradicated. 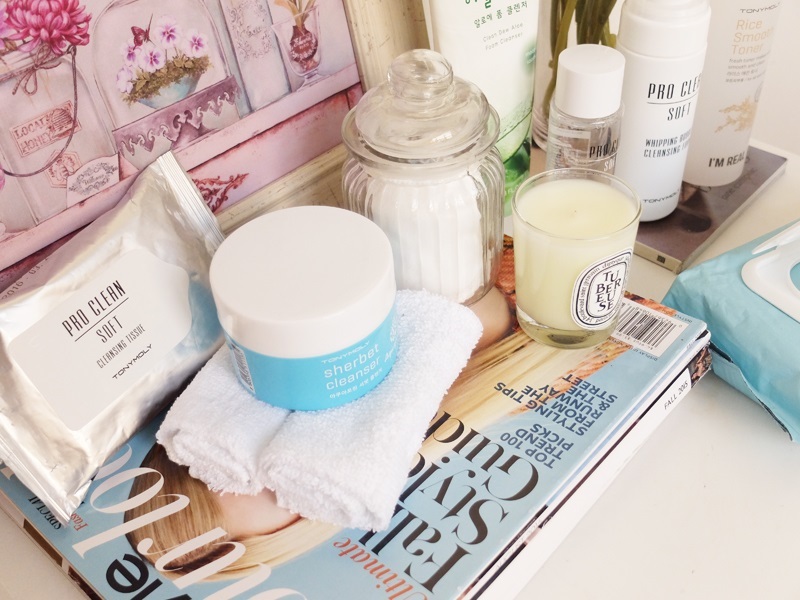 You can use other cleansers (like gels) but I would suggest foaming products like this Pro Clean Soft Whipping Bubble Cleansing Foam as they are more gentle and less irritating. Another foaming cleanser that I've tried is this Clean Dew Aloe variant, which is perfect for dry skin types. The Aloe ingredient not only provides hydration but also helps soothe your skin. The final step to your cleansing routine is applying toner. I know a lot of people skip this and go straight to a moisturiser but toners are crucial in your regimen. They remove any makeup/ cleanser residue and also prepare your skin for better product absorption. 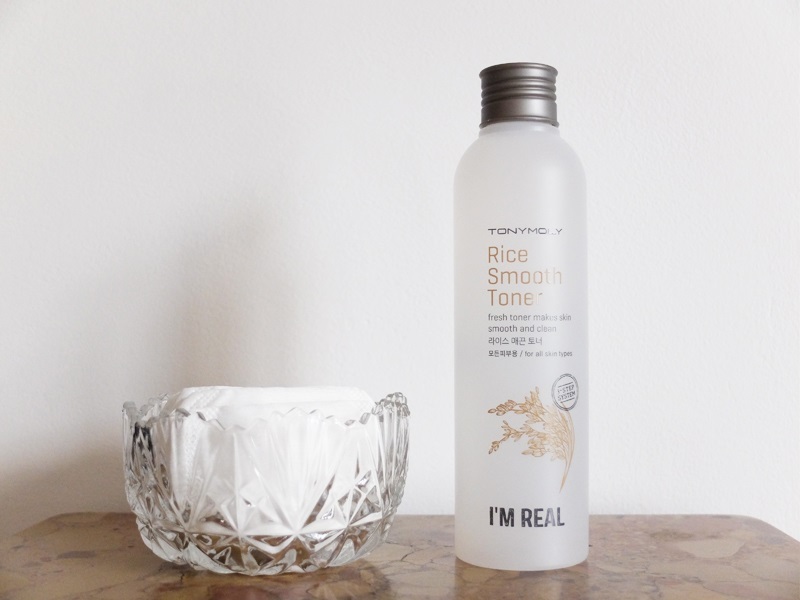 From their I'm Real line (read up on my obsession with their sheet masks here,) this Rice Smooth toner contains rice bran water, ceramide and argan oil, which freshens and cleanses your skin and helps you achieve a clearer complexion. Really enjoyed reading this post. Will checkout that tony moly foam cleanser. I am very particular with removing my makeup,no matter how sleepy I am, I make sure to remove my makeup before dozing off. I use micellar water first to remove my eye makeup, then follow it with a facial foam cleanser then finish it off with a toner just to be sure that there are no makeup residues left.